Eyelid surgery called also blepharoplasty is an aesthetic procedure which improves the look of your eyes and your eyelids. This procedure allows the surgeon to remove bags which can be visible under your eyes, get rid of muscles or fat responsible for dropping eyelids. However, this plastic surgery does not deal with eyebrows appearance or wrinkles. Thanks to eyelid surgery in Poland you will gain a younger look and feel much better. 1. Eyelid surgery abroad helps to revitalize your face. 2. Eyelid aesthetic procedure in Poland is a safe surgery. 3. Beauty Poland offers you one of the cheapest eyelid surgeries abroad. 4. Trust our most experienced surgeons and specialists. 5. We will organize your eyelid surgery and stay in Poland. If you struggle with the excess fat or skin on your eyelids, have bags under eyes or your skin is so loose that it forms folds, then eyelid surgery in Poland is the best solution for you. Thanks to it, you will get rid of lower eyelid wrinkles, excess skin, and gain attractiveness and rejuvenation. 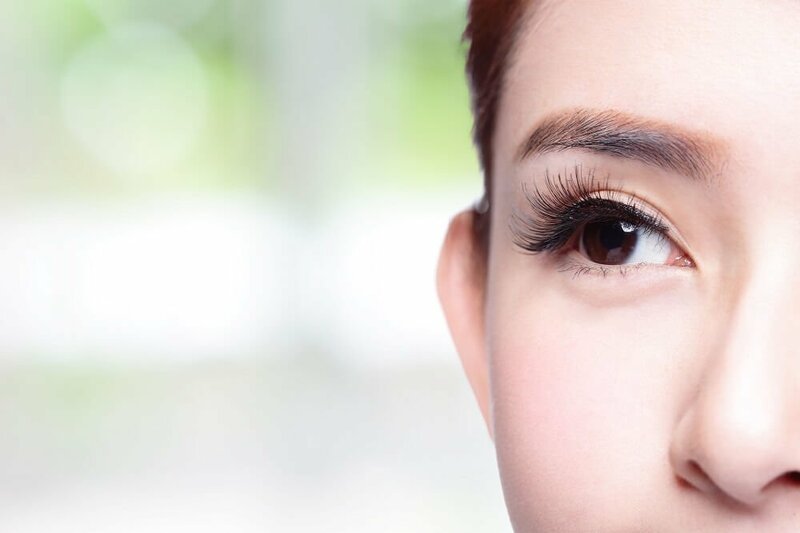 Eyelid surgery can be performed on your lower or upper eyelids or both together. Upper eyelids surgery in Poland is usually done under local anaesthesia. The surgeon makes incisions in the crease of your eyelid, as a result of which the scars are effectively hidden. After removing excess skin or fat tissues, the eyelid preserves a natural, smooth, and wrinkle-free appearance. Lower eyelids surgery is performed under general anaesthesia. The surgeon makes the incisions just below your eyelashes, which minimises scars visibility. The surgery lasts about 1 hour, but the time may lengthen depending on the complexity of the surgery. If you are qualified as a good candidate for the blepharoplasty abroad, it means that the risk of complications is minimal for you. A perfect candidate for eyelid surgery in Poland is at least 35 years old, does not smoke and is in a good health condition. If the problems with your eyes are genetically conditioned, you may have the surgery even at younger age. During the consultation, which takes place before the surgery, your surgeon tells you all details of the procedure, informs of possible post-surgical risks and explains how to avoid them. Eyelid surgery made my eyebrows look great! I ve noticed that I looked tired all the time, no matter how much make up I put. I could not get rid of it. My eyebrows looked as if I was angry all time. I think that my eyebags were caused by permanent stress. My mom had a fight with cancer, but passed in the end. I am 4 weeks after surgery and I think the improvement is quite evident. Whoo whooo! I may advise you tip that massaging upper eyelid scars is great! First of all thank you very much to Coramed clinic and Nawrocki M.D. They've done a great job on my eyelids! Now I look 10-15 years younger and my eyes are no longer sunken and covered by excess skin! I have upper eyelids surgery and I am very happy with the results! I recommend Dr Ryszard for eyelid surgery in Poland! I have exactly the result I hoped for! Dr Ryszard made excellent job. I look fresh and younger. Can not wish more, definitely recommend. Bags under my eyes were always a big problem of mine. I used many different cosmetic crems, but nothing gave the desired effect. Finaly, my dermatologist suggested plastic surgery consultation regarding lower eyelid surgery. In the UK I would have to pay 200 pounds just for the consultation and it felt like wasted money. I've found out nice clinic in Szczecin, Poland and I flew there for the consultation. I found out that lower eyelids surgery will help me with my issue. The price was so good that I ended up staying for the surgery after all. I am very happy with Art Plastica clinic and I no longer have terrible bags under my eyes! Our clinics pride themselves with the advanced technology, modern solutions and high standards. At the same time in Poland there are astonishingly cheap prices for eyelid surgeries. The average price for eyelid surgery in Poland (both upper and lower eyelids) is 1000 GBP, while in the UK the average price for the same surgery is 4300 GBP. Moreover, the average price of the surgery for either lower or upper eyelids in Poland is 600 GBP. At the same time the quality of the operation meets the highest European standards. The combination of the highest level of professionalism, modernity and exceptionally affordable prices in Poland makes it one of the most desirable destinations to have eyelid surgery performed. 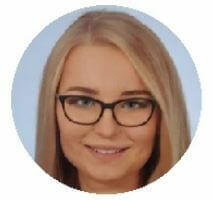 From the very beginning you are in contact with our patient assistants, who, thanks to their wide knowledge and experience, will provide you with all information about the treatment procedure and surgery itself, and will help you organise your trip and stay in Poland. The clinic’s staff is also English speaking, so there are no problems with communication. You will be given detailed information about the surgery and recovery during the consultation which is included in the price – the surgeon will answer all your questions then. The surgery can be performed immediately after the consultation. After the surgery you will be again explained how to take care of your eyes during the recovery process and prescribed special eyedrops. You should refrain from alcohol, cigarettes, television and makeup during the recovery process. The recovery is relatively short. After 10 days you may safely go back to your everyday activities, but exhausting exercising is possible after about 3 weeks. If you want to have eyelid surgery abroad, contact Beauty Poland and we will organize everything for you. We offer our patients all-inclusive packages. The all-inclusive package includes your stay in a hotel for as many days as you need, a pick up from the airport and all your transfers between hotel and clinic during your stay. Additionally, our patients may choose to have a standard package or premium package. Regardless the package, breakfasts are always included in the price. You do not have to worry about anything. Once you decide for all-inclusive, we book a hotel for you, organize your pick-up and send a taxi anytime you need it. We always do our best to make your stay as comfortable as possible.